Now that warm weather is here and Memorial Day is right around the corner, it's finally time to start thinking about (and counting down to) our summer travel plans. In addition to gearing up for adventures and relaxation, you might also find yourself dreading packing. You're not alone. While we can't help you with fitting your whole wardrobe into a carry-on bag, we can help you make the most of the 3-1-1 rule. 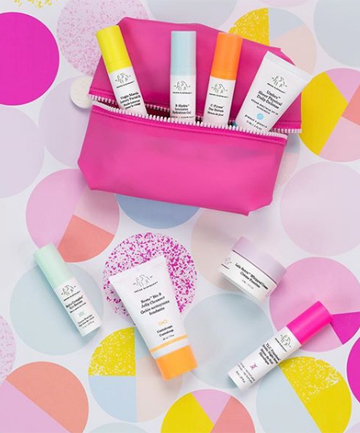 Whether you're looking for a travel-friendly skin care routine, hair care routine or makeup routine, ahead you'll find 26 travel-friendly products to help ease the stress of figuring out how to maintain your beauty regimen without breaking flight laws or monopolizing your luggage space. Happy shopping — and bon voyage!